If negotiation has not worked to get a fair resolutions for an injury claim, the next step is to turn to Florida’s civil courts for relief. Here, we present a basic overview of the different stages of a typical personal injury case, and we highlight some additional information about each stage. If you are unable to reach a settlement with the person responsible for causing your injuries (or the insurance company in the insurance claims process), you would have to file a lawsuit to enforce your legal rights. The injured party is the plaintiff in a lawsuit. The plaintiff’s attorney will file a personal injury complaint in court. The complaint is the first official document, or pleading, in the case. The complaint will allege in very broad detail the basis for the lawsuit. 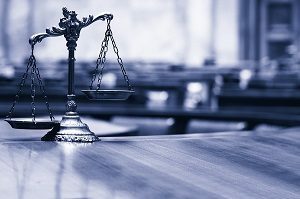 After the complaint is filed, the plaintiff’s attorney must locate the defendant and “serve” the complaint on him or her (or “it” if the defendant is a corporate entity). Serving the complaint basically means delivering the complaint to the defendant summoning the defendant to court. The filing of the lawsuit starts “litigation,” which is the name for the process of taking legal action. This is your first step towards a judge or jury trial. How long it takes to get to trial depends on the individual circumstances of each case, but it will usually take about one to two years for a personal injury case to get to trial in Florida. Keep in mind that a lawsuit needs to be filed within strict time limits. Florida has a four-year statute of limitations to file a personal injury lawsuit against a private person or entity, and a three-year statute of limitations against a governmental entity. Lawsuits against governmental entities also have strict “Notice of Claim” requirements before a lawsuit can begin. The defendant will likely hire an attorney. If the defendant has an insurance policy, the defendant will notify the insurance company as soon as he or she knows about the lawsuit. The insurance company will then hire and pay for a lawyer to represent the defendant. The discovery process is the exchange of information phase of a lawsuit. In this stage each party investigates the other side’s legal claims and defenses. Most parties typically serve interrogatories (a fancy word for written questions) and document requests to each other, and take depositions of the relevant witnesses in the case, including those of the plaintiff and defendant. This process can go as long as six months to a year, depending of course on deadlines set by the court and by the complexity of the case. Towards the end of discovery, the lawyers will generally start talking about settlement. Sometimes the lawyers can settle a case with a series of phone calls and written correspondence. In other cases, the parties will go to mediation. Mediation is a process where the parties to the lawsuit (and their lawyers) go in front of a neutral, third-party mediator to try to settle the case. At the end of discovery, the defendant may ask the judge to dismiss the case on “summary judgment.” To win a motion for summary judgment, the defendant must show that the plaintiff cannot win the case as a matter of law given the facts of the case. It is worth noting that such motions lose more often than not in injury cases. Pre-Trial Conference, Jury Selection, Etc. As an injury case moves closer to trial, the parties will typically ramp up their efforts significantly as they participate in mandatory settlement conferences, make motions to determine what evidence will be allowed at trial, select a jury, etc. Most cases settle in mediation. However, if mediation is unsuccessful, the case will be scheduled for trial. The trial gives the plaintiff an opportunity to present his or her case in the hopes of obtaining a judgment against the defendant. The trial also gives the defendant a chance to dispute the plaintiff’s case. A personal injury trial can last one day, several days, a week, or even longer. The trial may be decided by a judge or jury. The judge or jury will determine if the defendant is liable and, if so, how much the defendant is required to pay the plaintiff in damages. After the trial ends, either party can initiate an appeals process which can last from several months to several years. After the appeals process has been completed, a defendant who has lost will be required to pay the damages established at trial or on appeal. Most cases settle at some point in the process described above before trial. A settlement will end the case. As set forth above, the plaintiff can settle a claim before the complaint is ever filed—or can settle at any time until the judge or jury announces the decision of the trial. If you have been injured and you believe that someone else is responsible for your injuries, you should contact an experienced local personal injury attorney to discuss your legal rights. In order to make sure you don’t exceed the time limit for filing a personal injury lawsuit, it’s important to contact an attorney soon after being injured. Call 850-308-7833 to discuss your legal rights.